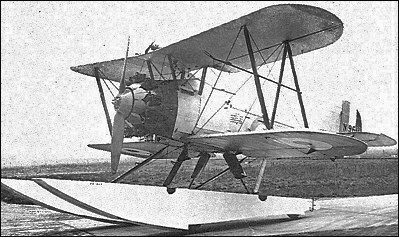 Designed by Harold Bolas to meet a specification (6/22) for a single-seat shipboard fighter to succeed the Gloster Mars X Nightjar, the Plover appeared in 1922, three prototypes being built. Of wood and fabric construction, and designed around a 436 hp Bristol Jupiter IV nine-cylinder radial, the Plover could be fitted with either a normal wheel undercarriage or with twin floats from which wheels projected to provide amphibious capability. 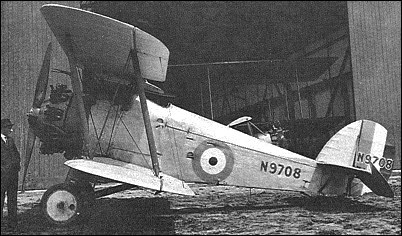 Armed with two synchronised 0.303-in (7,7- mm) guns, the Plover was ordered into small-scale production, ten being built of which at least six served briefly with Fleet Fighter Flights, being superseded by the superior Fairey Flycatcher.